This deployment type is used to manually configure the production environment (common library) in the production server informing the exact environment location. Step 1: Access the ScriptCase menu item ProjectDeploy, according to image below. Step 2: Select the applications to deploy. It is possible to deploy the entire Project (the entire application set) or a partial set of Project applications. Step 3: Select Advanced deployment. 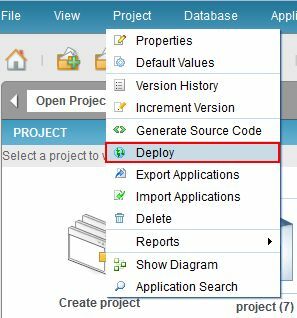 Step 4: Create a deployment template to save (and re-use) the defined configuration. Step 5: Define the production environment directory structure according to the common libraries structure defined in the production server. Consider that environment directory root is prod_scriptcase. See a configuration example below. *Note – The character "/", means the Server Web root, utilized in relative paths. Production Directory - Relative path to prod (dir). Images Directory (used for upload) - Relative path to img. Temporary Directory- Relative path to tmp. Documents Directory (used for upload) - Absolute path (full path) to doc. Step 6: Name the connections used for Production. 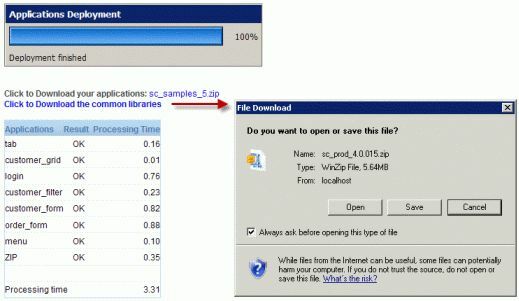 1 - Generate ZIP with applications (recommended): Upon complete the process is displayed a download link to the deployment package. 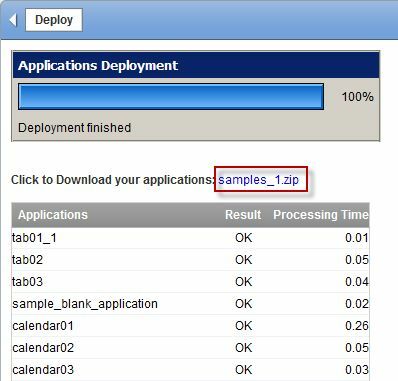 2 – Deploy in Server directory: Deploy the applications in selected directory. This option should only be used case the deployment is in the same ScriptCase server. 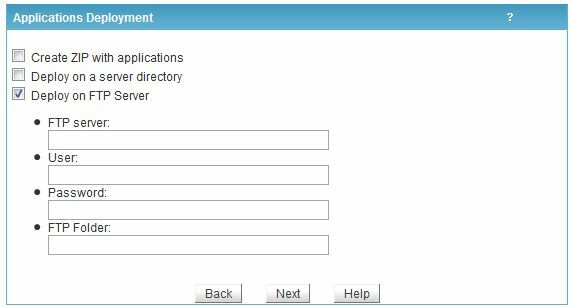 3 – Deploy in FTP server: Deploy the applications automatically in FTP remote server. Step 8: Upon complete the process is displayed an application deployed report. 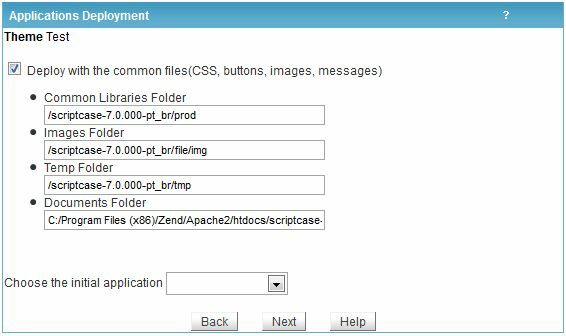 Step 9: The common libraries are methods required by the applications in the production environment being required by the deployment package. Note: In case of re-deployment (deploying again same project applications) it is not necessary to download common library again. This info is not valid when the common libraries are update in another ScriptCase release.